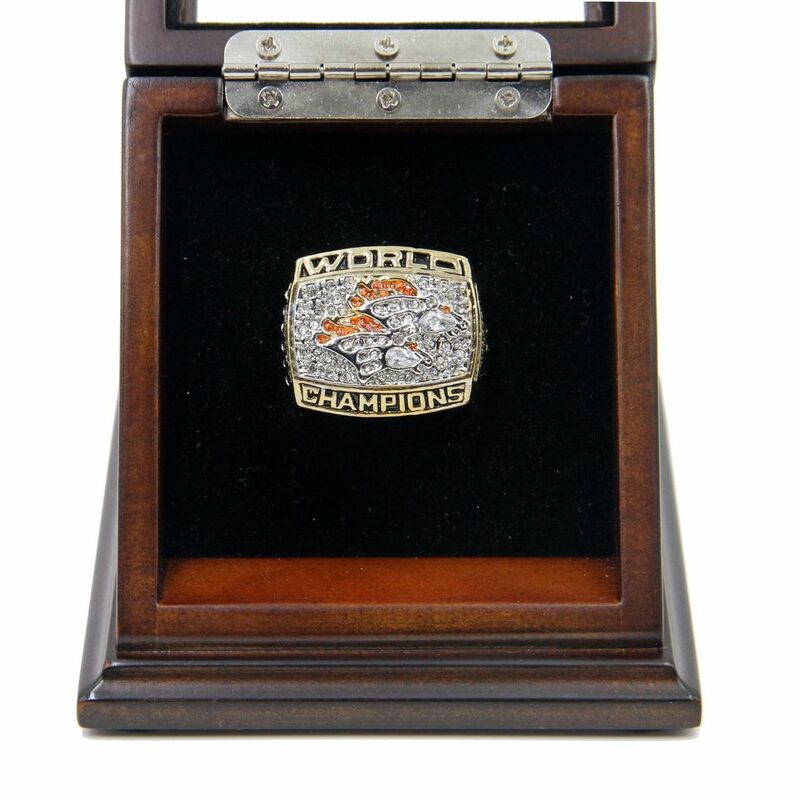 Denver Broncos are a professional football team of U.S.A based in Denver, Colorado, and Denver Broncos won eight AFC Championships, and three Super Bowl championships. 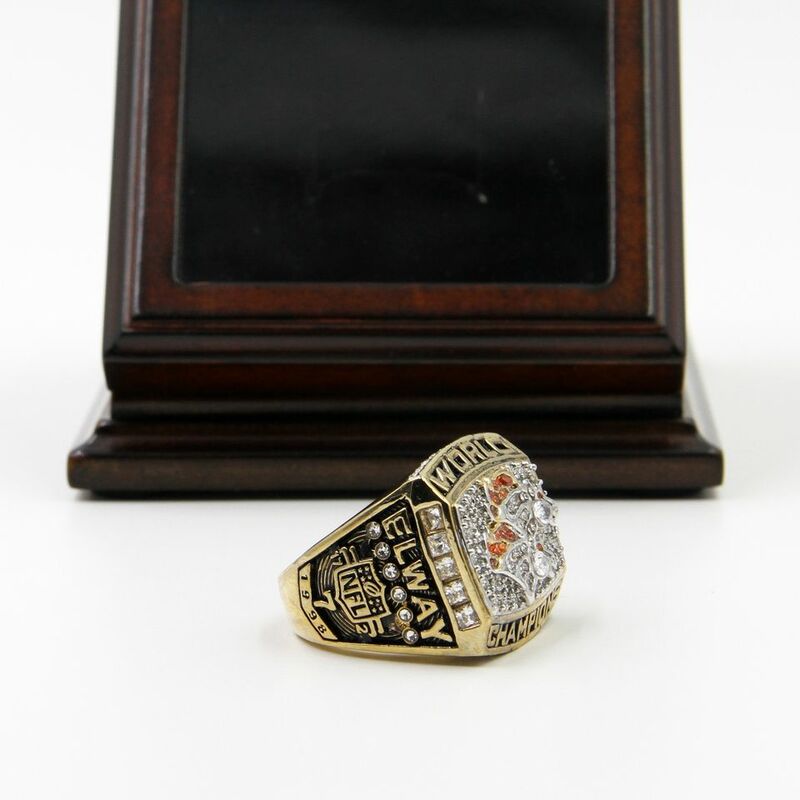 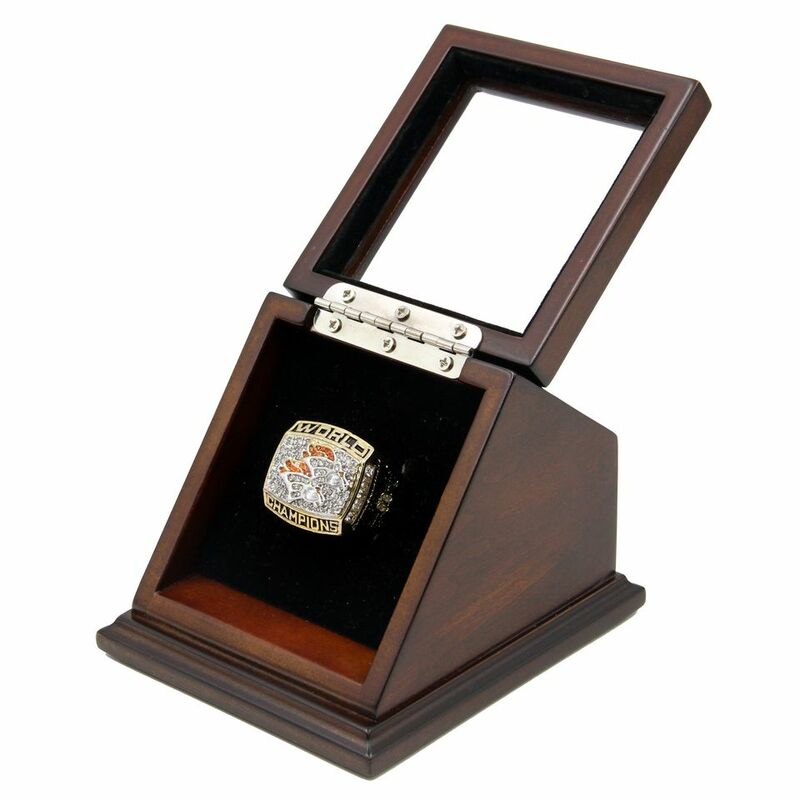 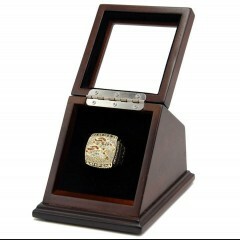 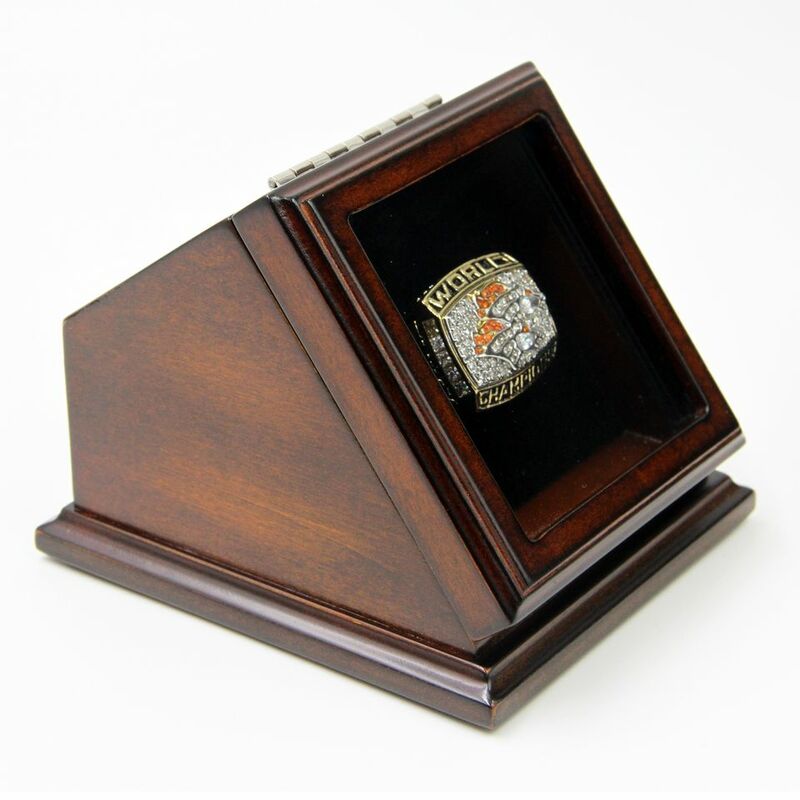 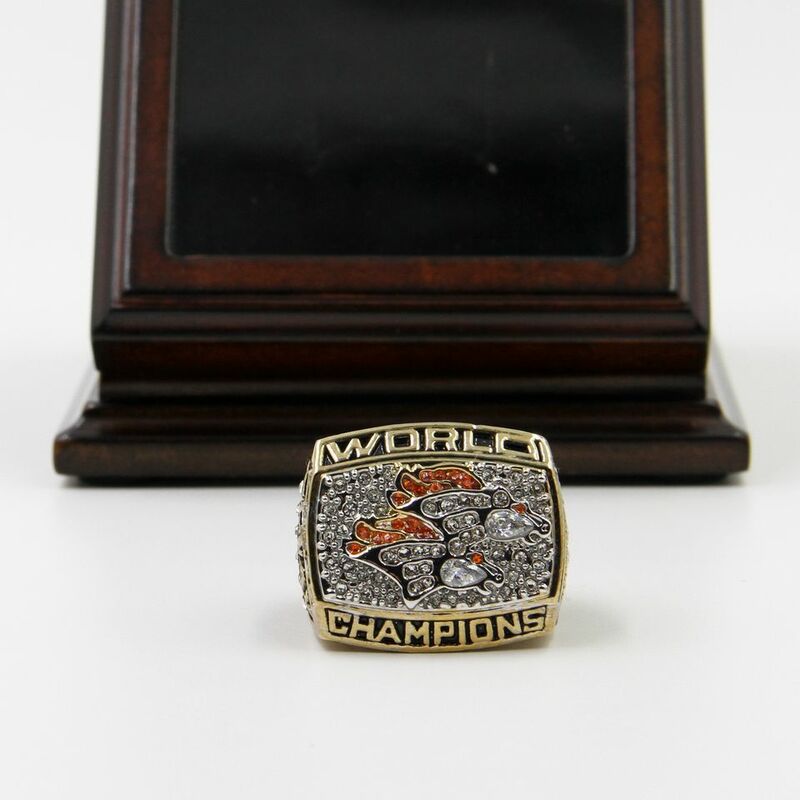 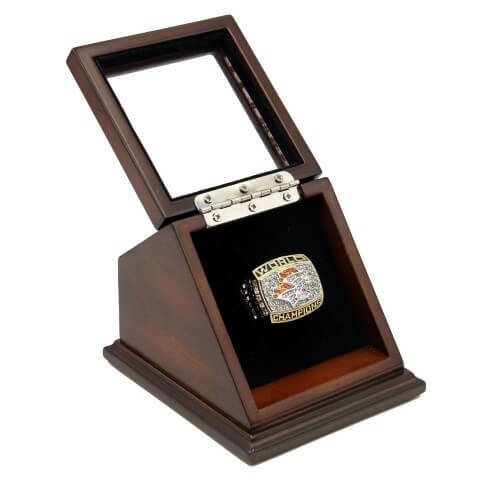 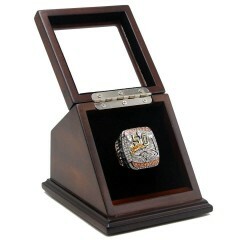 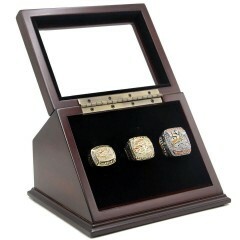 NFL 1998 Super Bowl XXXIII Denver Broncos Championship Replica Fan Ring with Wooden Display Case reminds you the great moment of Denver Broncos in Super Bowl XXXIII which was their second Super Bowl, defeated Atlanta Falcons by 34:19 on 31th January, 1999 at Pro Player Stadium in Miami. 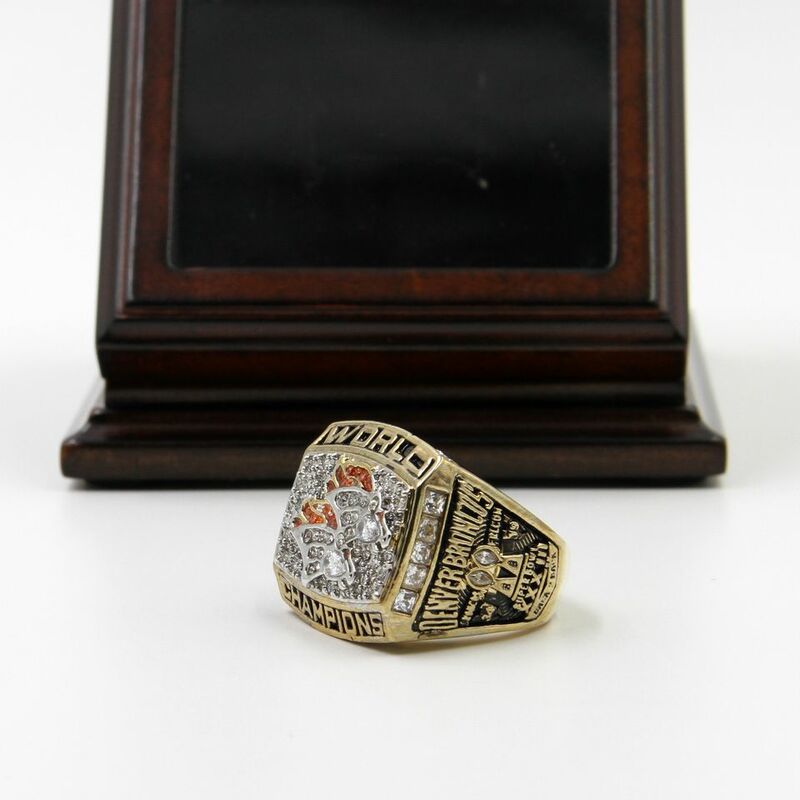 NFL 1998 Super Bowl XXXIII Denver Broncos 18K Gold-Plated Championship Replica Fan Ring with Wooden ..
Denver Broncos are a professional football team of U.S.A based in Denver, Colorado, and Denver Bronc..
Denver Broncos are a professional football team of U.S.A based in Denver, Colorado. 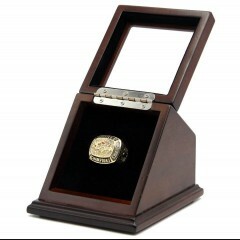 The Team owned ..